Our graduates work at Brandon Valley School District, South Dakota; Davenport Community School District; Mississippi Bend Area Education Agency; Rock Island School District, Illinois, and many other districts and settings. We merge the liberal arts, strong professional training, and in-classroom experiences to create caring, qualified, and competent teachers. 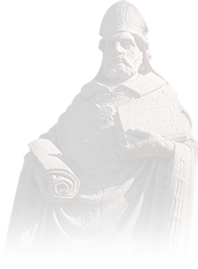 St. Ambrose has a reputation for graduating exceptional educators who are effective from the first day in the classroom, which helps you achieve your career goals. When should I apply to the Teacher Education Program? You should apply for admission to the Teacher Education Program during the semester you are enrolled in EDUC 205 or 207. The Secondary Education program prepares you to receive an initial license to teach grades 5-12 in Iowa agencies and schools. 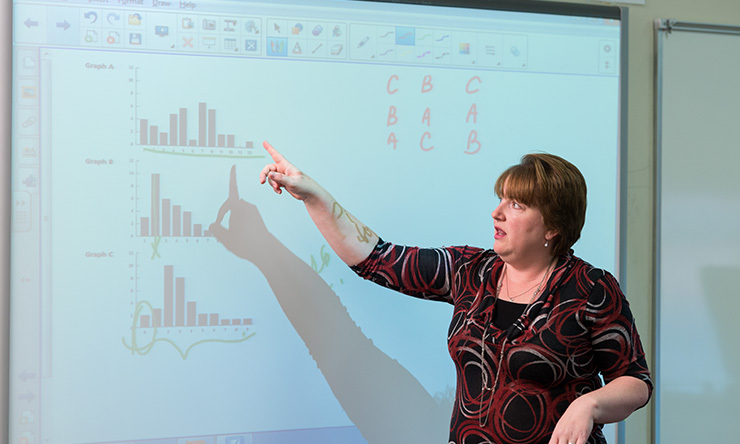 Our program is approved by the Iowa Department of Education and nationally accredited by the Council for Educator Preparation (CAEP), formerly the Teacher Education Accreditation Council. Teacher education courses include child and adolescent development, history and philosophy of education, educational psychology, educational technology, language arts and reading, physical sciences, inclusion strategies, and testing methods. You will also choose an area for a content endorsement as a second major, which can include biology; general business; chemistry; English; ESL; French; general science; German, American and world history; mathematics; Spanish; speech/communication/theatre; STEM; physics; reading; and middle school. Not only will you enjoy a low student-teacher ratio, you will be assigned a faculty mentor to guide you throughout your education. SAU makes fieldwork a high priority, and you will begin working with youth early in your college career. We have strong, established relationships with Mississippi Bend Area Education Agency, Rock Island County Regional Office of Education, 150 public and private schools, and other agencies that serve a diverse population of children and settings. We also make sure you have all the resources you need. The SAU School of Education's Curriculum Library has educational material, instructional resources, and teaching aids that will help prepare you to be a teacher. And if service is part of your plan, we are one of few universities in Iowa offering Peace Corps Prep, a program that can make you a stronger candidate for volunteer positions within the Peace Corps or other service programs. You'll gain skills and a cultural worldview that employers value and best of all, most students can earn the certificate – awarded by the Peace Corps – without taking extra courses. Our education graduates not only teach in classrooms but, with additional study, also are employed as school librarians, reading specialists, curriculum specialists, school administrators, and guidance counselors. Meredith (McAfoos) Tangen '08, '10 MBA, was recognized by the Iowa Association for Career and Technical Education for her "significant contributions toward innovative and unique career and technical education programs" during her tenure as a math teacher at Davenport West High School. She continues to teach Business Education, but moved to Davenport North where she also coaches track and field. Emma Folland '08, '14 MEdT is a middle and high school librarian for the Clinton Community School District. 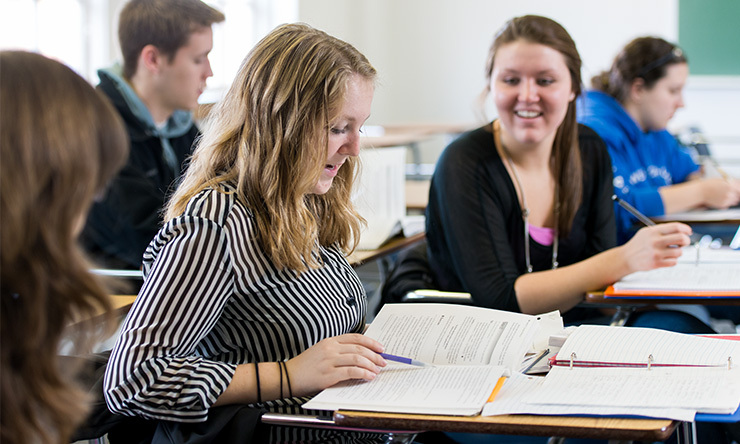 Students interested in secondary education should apply for admission to the Teacher Education Program during the semester enrolled in EDUC 205 or 207. 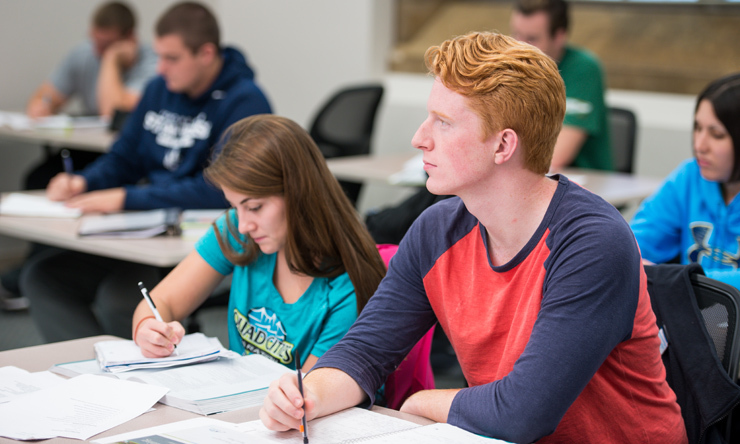 Bachelor of Education candidates need at least three semesters to complete professional core courses for a license; major/endorsement areas may require further preparation. The primary advisor for a student in secondary education is a faculty member in that student's major, such as history or mathematics. Faculty members of the Education Department serve as supplemental advisors. Student teaching is completed in your last semester before graduation, and the placement is all day, every day, for one semester. Note: If you do not meet any of the above requirements you may file an appeal. All appeals must be submitted in writing to the Teacher Education Appeals Committee through the Assessment Coordinator of the Teacher Education Program, one semester before the start of the student teaching semester. Dylan earned his degree with the assistance of a full-tuition St. Ambrose scholarship, promised to him in the months following a tragic family accident. His childhood dream was to become a teacher and a coach, and while the scholarship eased his financial burden, he didn't have an easy path to his degree. Dylan successfully balanced the challenges of work, school, and starting a family, to reach his goal.